Caratteristiche: Vino rosso a Denominazione di Origine Controllata e Garantita. Posizione geografica località Montalcino. Vitigno Sangiovese (Brunello di Montalcino) Maturazione 3 anni in botti tradizionali di rovere di Slavonia (5.000-8.000 lt). Affinamento 8-12 mesi in bottiglia. Conservazione 20-40 anni, secondo le annate. Colore rosso granata, intenso e brillante, con leggere sfumature aranciate. Profumo bouquet penetrante, molto ampio e vario, con memorie di frutti di bosco. Sapore asciutto, caldo, ben sostenuto, armonico, delicato e austero allo stesso tempo, persistente. Gradazione alcolica 12,5-13,5%. Acidità totale 5-6%. abbinamenti consigliati: arrosti, carni grigliate e allo spiedo, selvaggina, brasati, formaggi stagionati. temperatura di servizio: 18°C, meglio se stappato 1-2 ore prima di servirlo. "Luca Gardini" has rated the wine "Caparzo Brunello di Montalcino DOCG, Tuscany, Italy" the vintage 2012 on 01.01.2017 with 94 of 100 points. "Wine Spectator" has rated the wine "Caparzo Brunello di Montalcino DOCG, Tuscany, Italy" the vintage 2011 on 15.06.2016 with 89 of 100 points. "Wine Enthusiast" has rated the wine "Caparzo Brunello di Montalcino DOCG, Tuscany, Italy" the vintage 2011 on 05.01.2016 with 91 of 100 points. "Wine Spectator" has rated the wine "Caparzo Brunello di Montalcino DOCG, Tuscany, Italy" the vintage 2010 on 30.06.2015 with 93 of 100 points. "Wine Enthusiast" has rated the wine "Caparzo Brunello di Montalcino DOCG, Tuscany, Italy" the vintage 2010 on 05.01.2015 with 93 of 100 points. "Vinous Antonio Galloni" has rated the wine "Caparzo Brunello di Montalcino DOCG, Tuscany, Italy" the vintage 2009 on 01.05.2014 with 90 of 100 points. "Wine Enthusiast" has rated the wine "Caparzo Brunello di Montalcino DOCG, Tuscany, Italy" the vintage 2009 on 05.01.2014 with 89 of 100 points. "Vinous Antonio Galloni" has rated the wine "Caparzo Brunello di Montalcino DOCG, Tuscany, Italy" the vintage 2008 on 01.09.2013 with 92 of 100 points. "Wine Spectator" has rated the wine "Caparzo Brunello di Montalcino DOCG, Tuscany, Italy" the vintage 2008 on 15.06.2013 with 90 of 100 points. "Falstaff Magazin" has rated the wine "Caparzo Brunello di Montalcino DOCG, Tuscany, Italy" the vintage 2008 on 22.03.2013 with 90 of 100 points. "Wine Enthusiast" has rated the wine "Caparzo Brunello di Montalcino DOCG, Tuscany, Italy" the vintage 2008 on 05.01.2013 with 91 of 100 points. 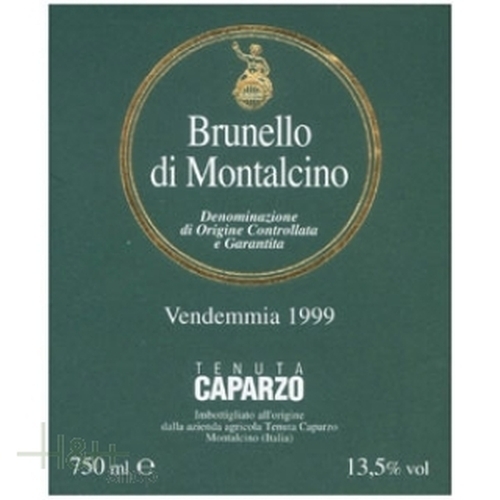 "Wine Enthusiast" has rated the wine "Caparzo Brunello di Montalcino DOCG, Tuscany, Italy" the vintage 2007 on 04.01.2013 with 92 of 100 points. 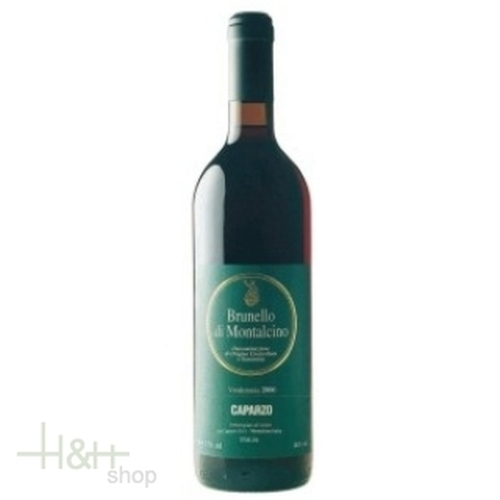 "Luca Gardini" has rated the wine "Caparzo Brunello di Montalcino DOCG, Tuscany, Italy" the vintage 2007 on 02.11.2012 with 93 of 100 points. "Wine Spectator" has rated the wine "Caparzo Brunello di Montalcino DOCG, Tuscany, Italy" the vintage 2007 on 15.10.2012 with 92 of 100 points.